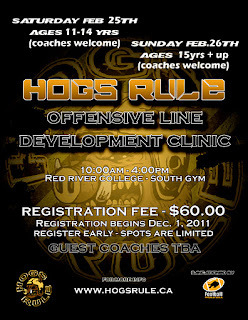 Hogs Rule Oline Clinic Welcomes all MGFA Olinemen! 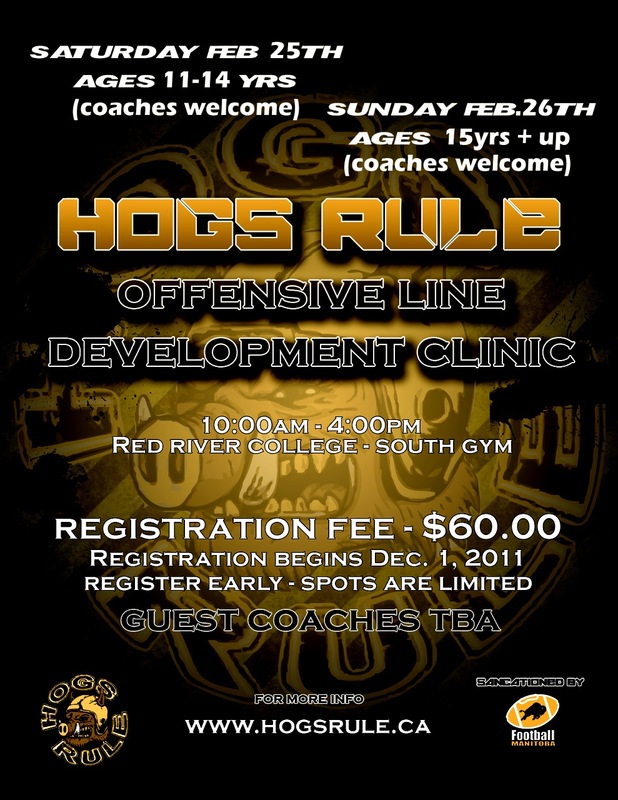 Feel Free to sign up for the Hogs Rule clinic! It is a great opportunity to get ready for the 2012 Season! Game 2 of the first ever MGFA season kicks off tonight at 6:00 at the East Side Eagles Field.The field is located behind Kildonan East High School. Come on out and support these brave girls of the gridiron!  The MGFA kick off camp is tonight at the Bomber Stadium! Have your girls there and ready @ 6:00 to take part in some skills and drills and FUN! Underarmour/longjohns and a longsleve shirt and sweatshirt...we can take off layers if needed.